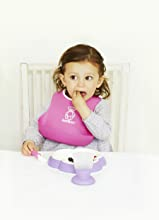 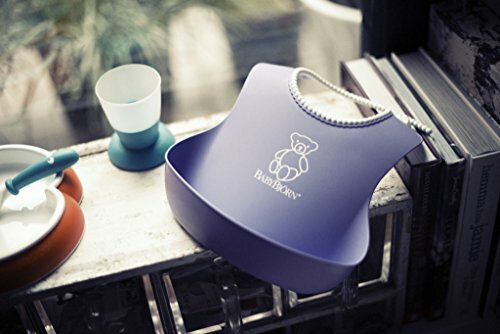 The baby bib's soft neckband rests gently against your baby's neck without chafing, and the adjustable fastener means that the bib can grow with your baby. As the poppers are not tightly fastened or tied, the baby bib will loosen easily if it gets caught. 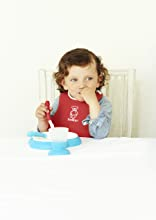 The baby bib's deep spill pocket will catch any mess and the durable material means that the bib will retain its shape so the food does not spill out. 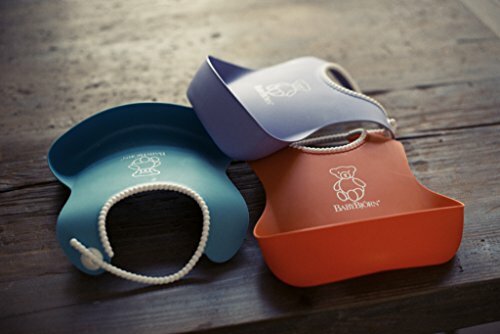 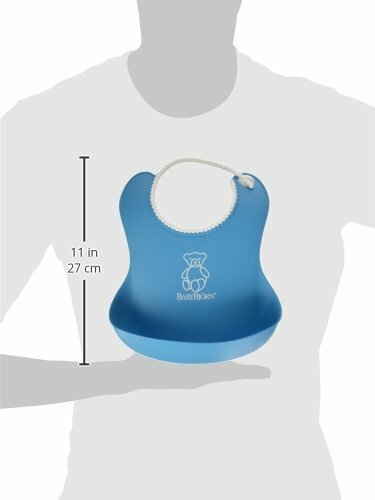 The size of the baby bib is designed to prevent it from getting caught on the table. 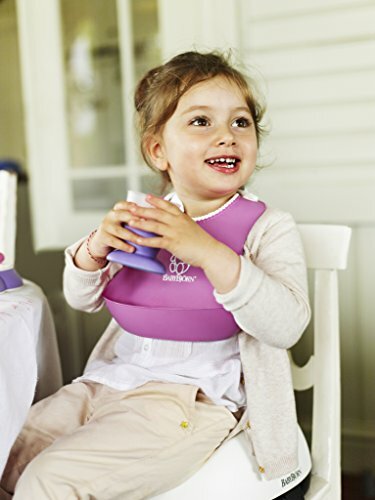 Safe and ergonomic high chair. 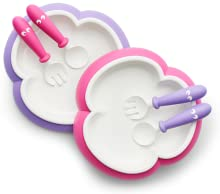 Stable plate and grip-friendly spoon and fork for toddlers. 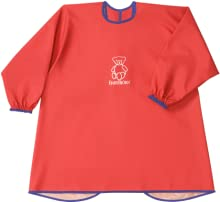 Durable and liquid-repellent long-sleeved smock for toddlers. 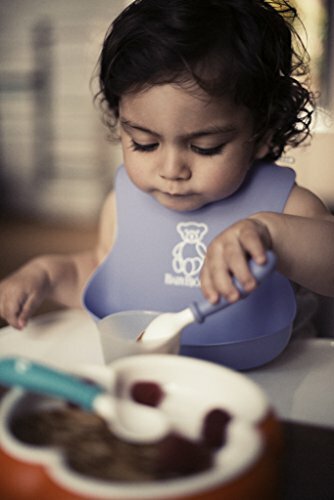 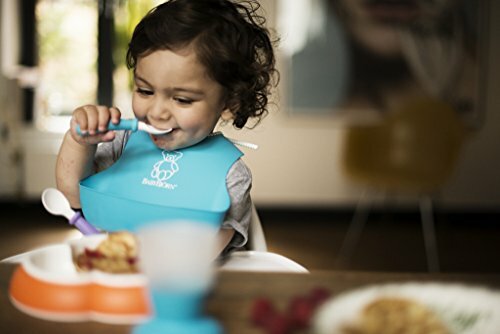 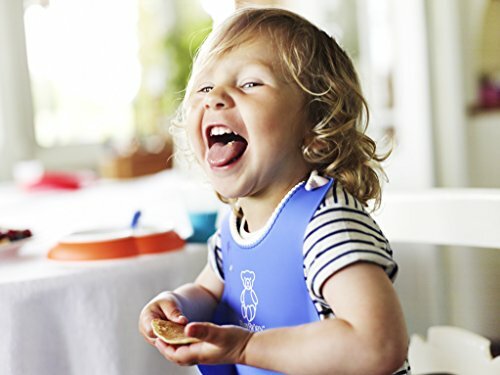 The BabyBjorn soft bib is soft and comfortable plastic bib catches food that misses your child's mouth. 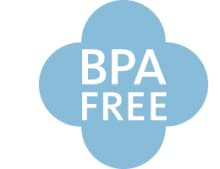 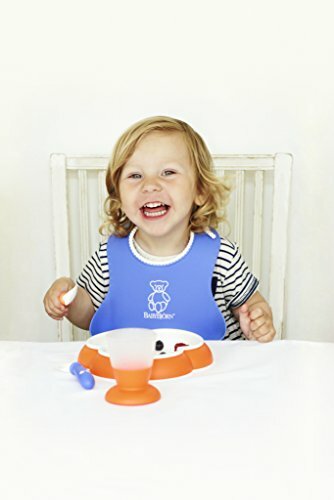 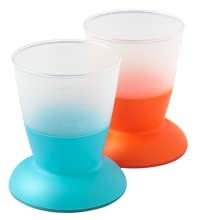 The bib is easy to clean and the fast-drying plastic means that you can use it again quickly. 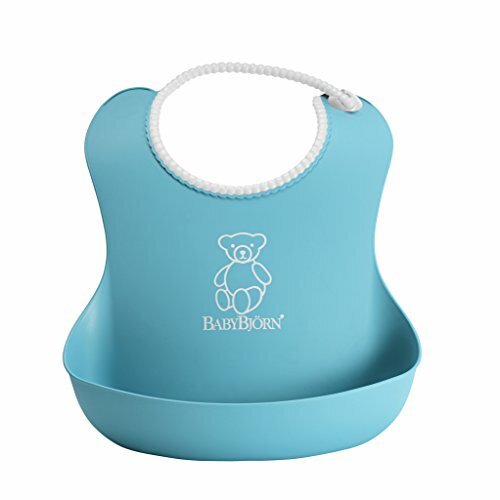 Suitable from four months.